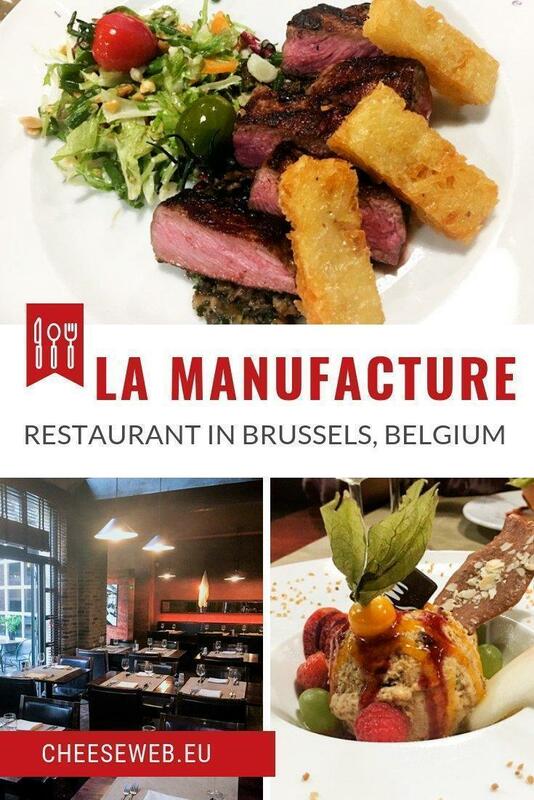 La Manufacture restaurant in Brussels, Belgium has long been on my list of places to dine because of its unique setting, in the former factory of Delvaux, the Belgian luxury leather maker. So, when I was invited to visit the restaurant, I immediately accepted. 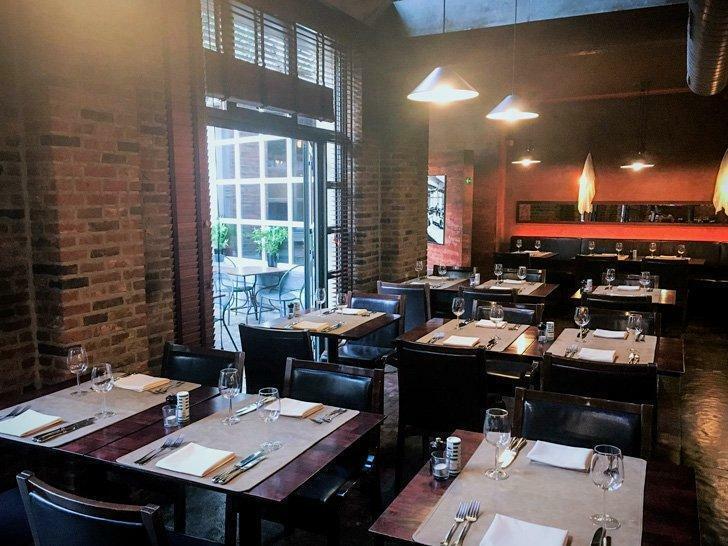 The industrial setting has been beautifully renovated with accents in warm colours to present an inviting atmosphere. One of La Manufacture’s most impressive features is the use of red granite contrasting with leather chairs and wooden tables. The lighting provides a flame-like effect. The usher led us to our table, where we agreed it was nice to dine in a spacious restaurant rather than cramped places we have gotten used to in Brussels. 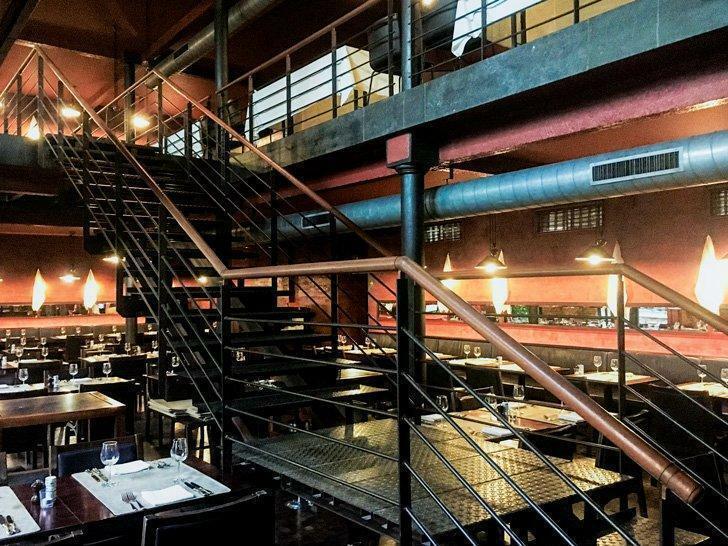 At La Manufacture Restaurant you’ll enjoy a setting with warm colours, with a gentle reminder of the history of the building. The restaurant is spread over 400 square metres and also has an upper loft which can accommodate parties and banquets. A separate entrance to this upper floor guarantees an exclusive entry to the event if you so desire. We were impressed with the wide selection of the wines ranging from South Africa, America, Australia, Italy, and of course, France. It was fun choosing our wines on the tablet. We enjoyed our drinks with some bread and olives. I must give a special mention to the bread, which was extremely delicious. On enquiring, the waiter told us they source it from a local bakery. Insanely delicious bread at La Manufacture. Since I was in the mood t enjoy some seafood, I asked for the Belgian classic of shrimp and mussel croquettes, which were perfect; crunchy on the outside and filled with the delicious sweetness of the shrimps inside. My other half decided to experience the real magnificence of the cuisine, and he asked for a baked duck liver which was served with a red beet sorbet. Sounds delicious, doesn’t it? It was, and the duck liver was cooked to perfection with the right hint of pink inside. 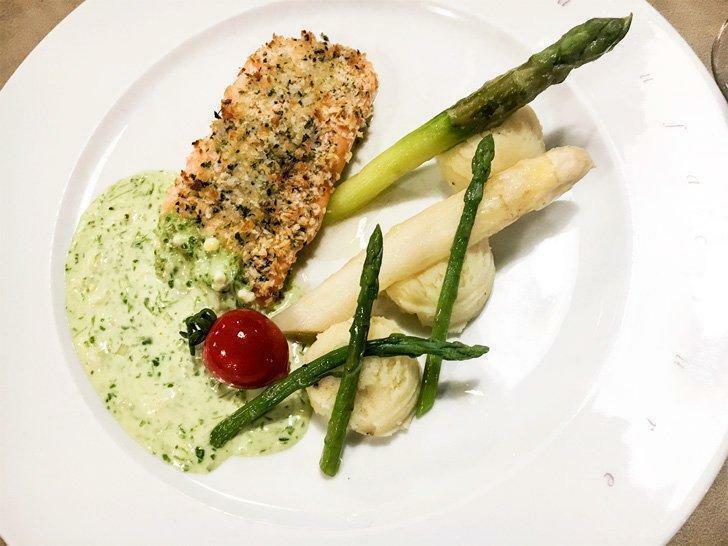 Continuing with my seafood day, I ordered a ‘herb crusted salmon escalope’ which came with a herb sauce, blanched asparagus, and potato mash. The salmon had a nice crust and was flaky and full of flavour. The potato mash had just right melt-in-the-mouth feel with the goodness of butter. Continuing with his meat day, my other half enjoyed his roasted veal loin served with meat juice and sherry, served with olives. It was time for dessert. Since this year has been exceptionally warm in Belgium, I asked for an assortment of homemade sorbets. This is a dessert which you have to experience. 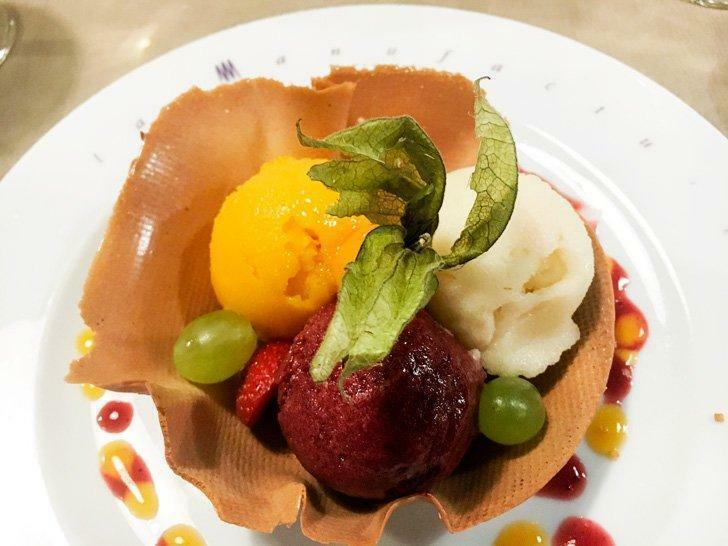 The variety included mango, raspberry, and lemon sorbet, with the deliciousness of the fruits and the creaminess of an ice-cream. 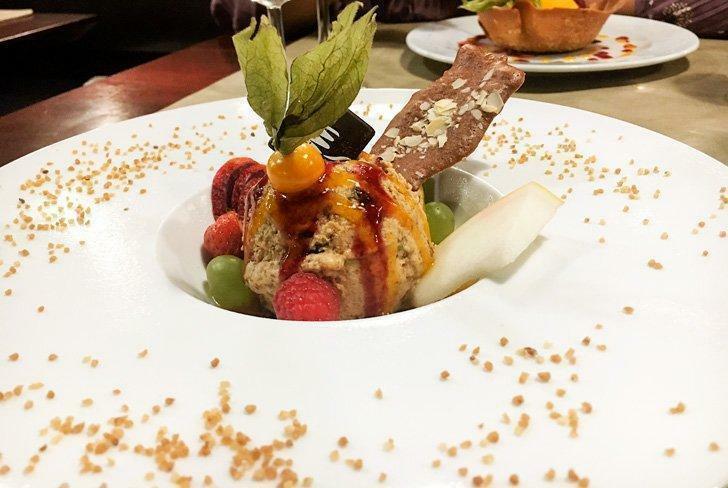 The other dessert which was a frozen nougat with candied fruit and Antillean rum was nice as well, but the assortment of sorbets was a winner all the way! 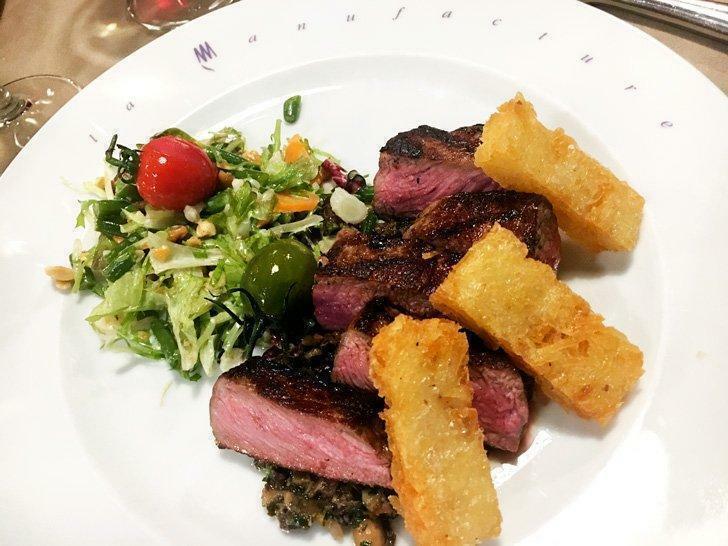 La Manufacture may not be located in the fanciest of neighbourhoods, but the restaurant makes up for it with its excellent food and service. It even has a valet service, so parking is not a problem, which is a relief. The ambience is unique, and the cuisine is traditional French with an Asian twist. 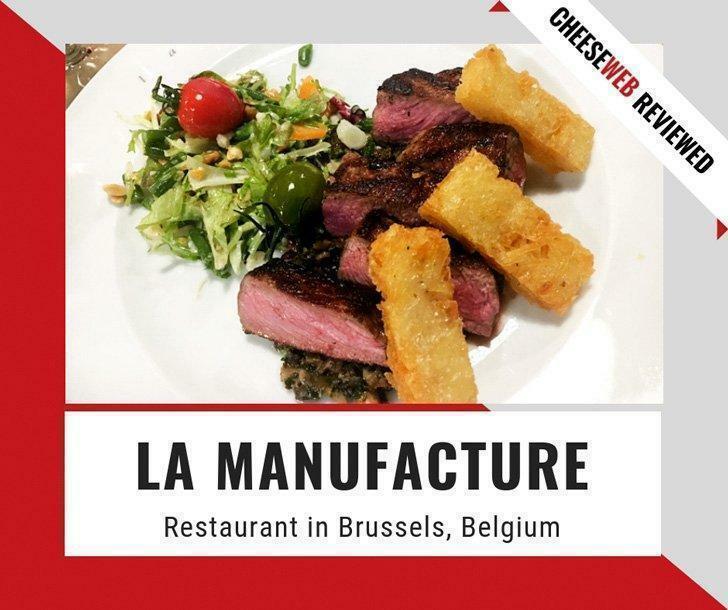 Aside from the la carte menu, La Manufacture also offers a lunch menu for 18 euros. 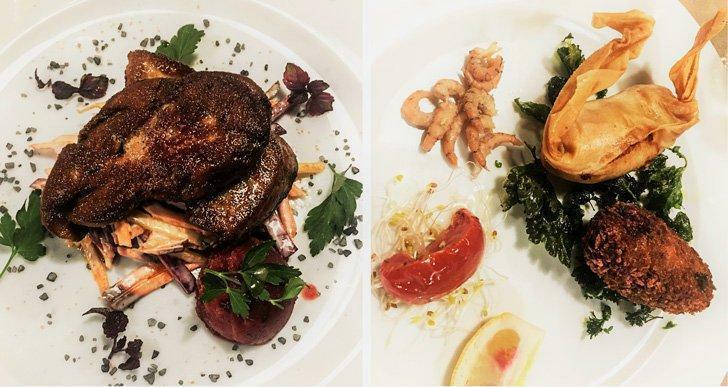 Michelin has awarded them the ‘Bib Gourmand’ for the Wink Menu in the evenings, which consists of a starter, main dish, and a dessert, all for 40 euros. 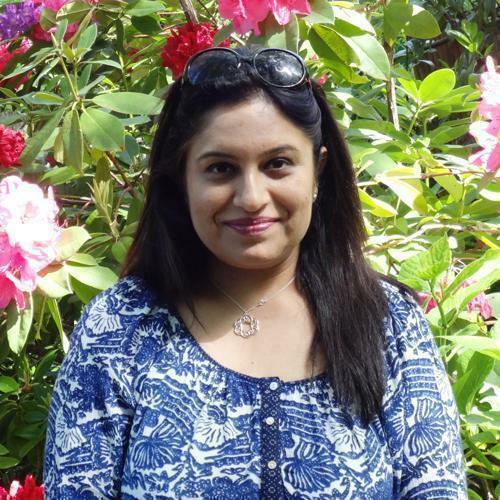 The menu changes as per the season, and I noticed an emphasis on seasonal produce, always good when you are aspiring to fresh flavours. 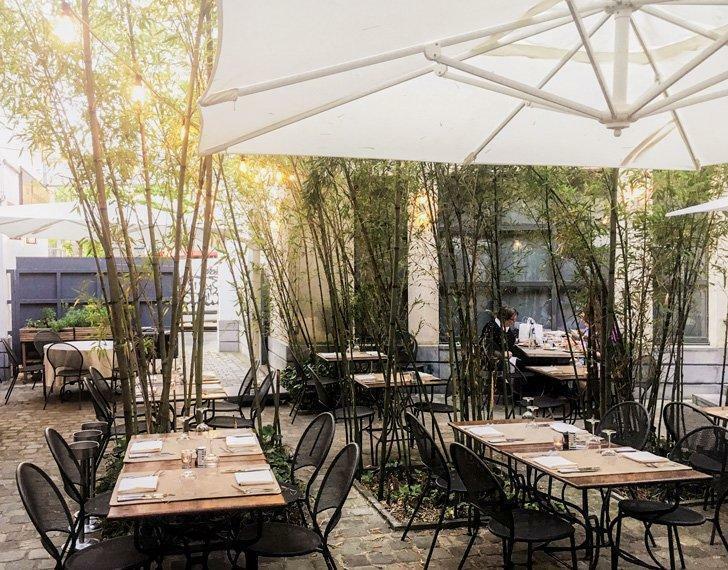 When the weather is nice, you can enjoy your meal in the courtyard under the bamboo tree.